Discussion in 'Amps and Cabs' started by akihiro, Oct 24, 2008. So I wanna get a new amp, preferably an all tube combo no more than 50w. I play mostly rock, kinda of a hendrix/acdc/paul gilbert/richie kotzen type of feel. Kinda hard to describe. Just a good, quality amp. Something that takes pedals well and has some good overdrive. Marshall DSL401 is going to be discontinued, seen them at GC for $500 great amp, great overdrive, OD1 and OD2, not a great clean amp, but gets a great blues tone, clean channel gain at 10. The effects loop is parallel, which means it does not take a lot of effects, however the tone makes me not want effects. I have both amps and love them, they do a lot of different thing, if I only had one amp the fender HRDx probably, but the Marshall is the one the amp I love to play, gets the classic marshall tone which is not great clean, but a lot of amps do clean well. 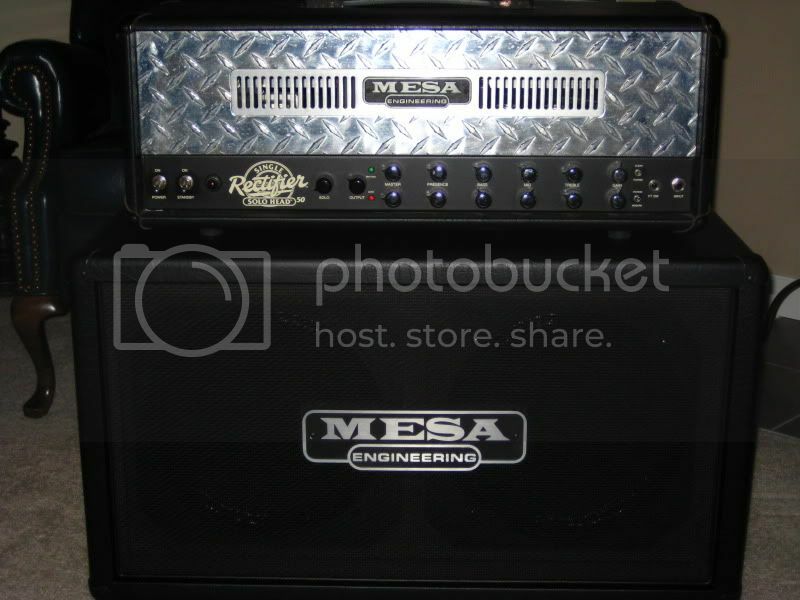 both amps are 40 watt three channel 1x12 combos BTW and the HRDx is $650 or so new. Marshall DSL401 had run $1000 or so as I said seeing them going for $500 new at GC really would not let this deal wait. Ha, wow. Those were the two amps that were at the top of my list. I see the 401's on the bay every once in a while. There's one up there right now that I'm keeping my eye on. Fender Hot Rod Deville 2X12, although it's 60 watts. How's the overdrive on that Hot Rod Deville? Another thing I forgot to mention, I'll be running an attenuator with the amp. IMO, the clean channel on the HRD is good. The OD channel ain't good. Also, I'm a bit reluctant to go for the DSL 401 because of their history to heat up. I couldn't have picked a better amp. Great versatility, features, and tones. Saw the over heating problem with the Marshalls DSL401s in the early models of the DSL401, waited a few years and they solved the problem, mine has never had the problem, so buying the newer ones you wont see the over heating, buying used off of ebay with out knowing the year probably not a good idea with these amps, for me the overheating was obvious after playing the amp a few minutes, as I said mine has never had this problem. The HR Deville is hard to control volume wise, the master volume is linear, so the amp is is off or its to loud, so you would definitely need the attenuator. HRDx is the same way but the lower power is not as painful as it is in the HRDv. I rebiased my HRDx when I put the 6v6 tubes in, found that the bias had a lot to do with the overdrive, I am running very heavy over drive on my HRDx, no pedal needed. the DSL401 great amp with great tone, find it does not take pedals well the effects loop is parallel, so a wet dry pedal is required, a single input and single output really sounds awefull, the direct signal of the amp usually cancels the direct signal of the pedal, if it has a mixer on the pedal you can mix it so its only wet, no direct signal. However its my favorite amp, really love the classic marshall tone, and the over drives are similar to my Mesa Mark IV solo channel, which is incredible. The Fender Hot Rod Deville, probably the worst amp I ever owned a friend had recommended it, and I was looking for a fender amp at the time, I had always owned marshalls, The linear master volume makes it hard to get a good level, its a Hot Rod so its supposed to be loud, and it goes to 12. Ears hurt the whole time I played it, it kept feeding back and the 60 watt feedback is killer. Other 40 watt amps feed back as well, which is some thing I love but they never hurt me when they do. I think I may be leaning a bit more towards the Hot Rod Deluxe. Oh, and another amp that's been on my mind is a Laney LC30. The only bad thing I've heard is that the stock speakers are too good. its the safest amp buy IMO, low price, three channels, good clean tone, takes pedals well, Fender quality with a 5 year warranty, lots of good mods if you want to go that way. the eurotubes in in my previous post. hot rod deluxe is good, but get the logaritmic pot mod for it.... stock it has only 2 settings..... too quiet and too loud. i traded my hot rod for an ac30. Marshalls are addicting, I am a marshall addict, always played one, and when I don't have one to play I get miserable, I think its the same way with other Marshall owners, the other amps are alright, but they are not a Marshall.